We’re almost through a full month in 2019 – are you still feeling fresh and inspired about the new year? Or are you feeling bogged down by your routine and flagging resolve already? If you’ve thrown your resolutions out the window, never fear – I’m not a big believer in them anyway. What I DO believe in is finding ways to find new inspiration that will allow you to freshen up your goals, your thinking, your business development, and ultimately, your practice. I recognize that this is a tough one for lawyers and the professionals who love them, because we’re already reading constantly, so I don’t recommend this lightly. But reading can be an immense source of inspiration when you’re struggling to find it. Taking a break from the reading you’re doing professionally to do some personal reading (or alternate professional reading) can also help to reset your brain to make your professional reading more efficient. I’m challenging all of us to do more reading in 2019, whether it be books, articles, blogs, or whatever we can get our eyes on. Where the inspiration part comes in is two-fold. Read something outside of your comfort zone. We generally like to stick with what’s familiar – the same authors, the same genre. Challenge yourself to read some new material. In a great Op-Ed piece on resolutions in the LA Times, the author quotes Haruki Murakami (who happens to also write beautifully about running, I might add). Murakami says “If you only read the books that everyone else is reading, you can only think what everyone else is thinking.” That applies not just to reading outside of the list of popular books, but also outside of the list of what you typically read – and what’s generally read in your industry. Expand your reading repertoire periodically (maybe give yourself a goal of once a month), and you’ll find that you’re expanding your mind as well. At the very least, you’ll learn what you DON’T like. Writing for content isn’t for everyone – though if you want to use 2019 as the year to give it a try, I wholeheartedly encourage you! If you are a writer, or you want to become one, reading will actually help you find the most inspiration. But at some point, you need to sit down and actually put pen to paper, metaphorically speaking. In 2019, let’s let this be the year that we write what people want to read, rather than just what we want to write about. Know your audience – that’s the first step: who are you writing for? What do they want to know about? Develop a profile of a typical member of your audience, and ask some of them what they want to know more about. Use the data from your blog or stats from your LinkedIn articles to see which ones are getting the most traffic and social shares. But don’t just rely on what’s most popular of what you’re already writing to inform your content. Know what’s trendy – look at BuzzSumo. If you want to know what the trending topics are in the industry you’re focused on, do a keyword search on BuzzSumo, and it will return the most shared content under that topic. The Content Marketing Institute’s Neil Patel has some other suggestions for creating stand-out content in this post that you might want to check out as well. 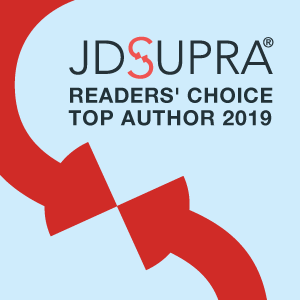 Know what’s trendy in legal – JD Supra does a roundup of the top topics in a variety of areas which will give you a peek into what’s popular and why. Here on Zen, we’ve talked a lot about having an editorial calendar, regularly reviewing your posts and data to see what’s working and what’s not, and doing more of what works. While you should keep doing those things, this is also the opportunity to try new things. As you’re reading new blogs that you really like, make note of what it is that you enjoy about them – is it their shorter format, use of lists, storytelling, avoiding of legalese, engagement with guest posters, use of images, etc.? Look to writers both inside and outside the legal industry for inspiration – not everything you try will be successful with your audience, but it’s worth giving it a shot this year to see what’s going to breathe fresh life into your writing – both from your perspective and your readers’ perspective. Maybe you’re not sure this is the year you want to write, or you’re sure this is the year you DON’T want to write. Try it anyway, and keep it private. Write in a journal to get your thoughts out and brainstorm in a way that may be more visual than you’re used to. it may help you work through complex issues that you’re used to running over in your mind only, or you may discover that you have a love of poetry that you never knew about (I know rather a few lawyer poets). This final piece of inspiration has a couple of components. The first is about making us all better at our jobs in a immediate sense – we’ve trained ourselves to believe that in order to be successful, we must always be doing. And for lawyers especially, who are literally billing by the minute, time is money. So there’s not a high premium on sitting around and “thinking” your way to success. But hear me out – there IS value in taking a “time out” for strategic thought about your work. This doesn’t have to be within the confines of your work day, but can be when you can carve it out. For me, it’s usually when I’m running, because there’s nothing else to distract me. For safety reasons, I don’t always run with the background of music, so when I’m out on the road or trail, it’s literally just me and my thoughts as I pound the pavement. It’s a great time for considering any number of things and clearing my head. For you, it may be a weekly coffee that you focus on drinking with no distractions, or zoning out during your commute without multitasking (preferably NOT if you’re also driving!). You can self-direct these thinking sessions by giving yourself a topic if you’d like, such as that quarter’s business development activities that you’d like to better develop, or which clients you should be more focused on, or which colleagues in the office you could do a better job of connecting with, or which events you’d like to attend over the next month. Whatever your goals are, allow yourself some time to just think about them – the planning part will come later, when you can put some concrete action steps in place. The other component of this is more of a mindfulness one. For a profession that is leading all others in depression, suicide, and addiction, taking time out for mindfulness is not to be taken lightly. We are all better lawyers and professionals when we understand our own delicate balance of work, family, friends, and mental health (and this will be different for each of us). Read through the full LA Times Op-Ed which has some great suggestions for a full and balanced life (kindness, helping others, letting go, being informed, staying active). Learn more about lawyer Jeena Cho’s work on mindfulness in the legal profession, and consider putting her book on your 2019 reading list, as well as taking up a meditation practice. Check out Brian Cuban’s writing on addiction in the legal profession. It turns out that we can be truly excellent at our work when we are happy in it, which comes from finding our own balance and helping others. As we dive into another calendar year, use some of the above as a way to inspire your efforts in 2019, and please share with us what other things you’re doing to inspire yourself in the new year. Have a happy and healthy 2019!